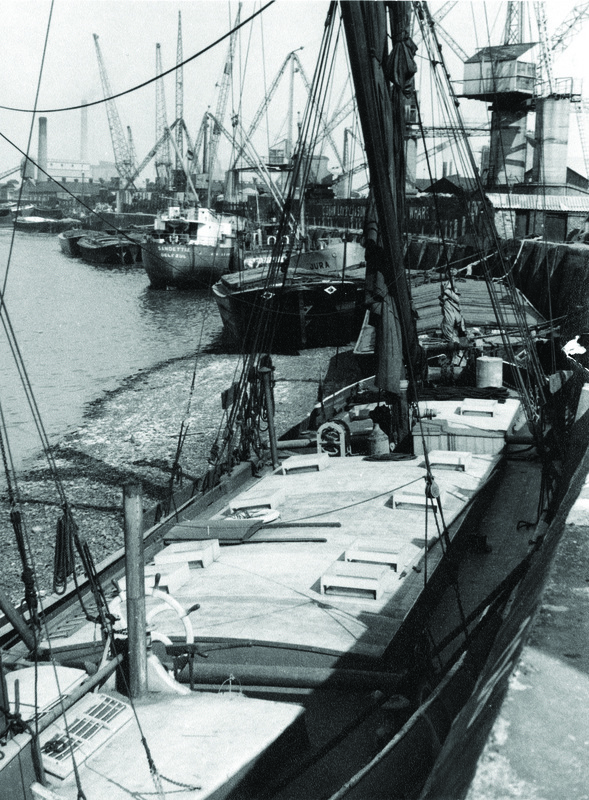 In 1908 The Port of London Authority took over Union Wharf on Ballast Quay from the Thames Conservancy who had acquired it on a lease from Morden College in 1855, when the Harbour Master's Office was built at the eastern end of the street to control the passage of colliers upriver to the Pool of London. 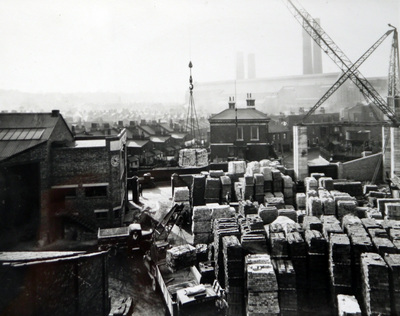 Until the head lease expired after the first World War the uses of Coles Child's Greenwich Wharf had been many and various, from coal importing to coke burning, from cement manufacture to ice making. been sub-leasing since before WWI. 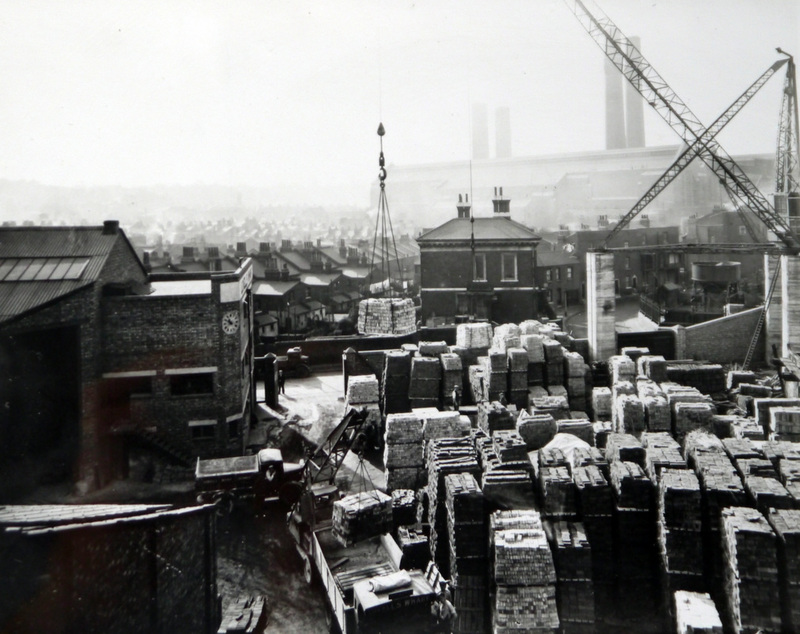 From this wharf the company later dealt in scrap metal, requisitioned from the battlefields of the Great War. 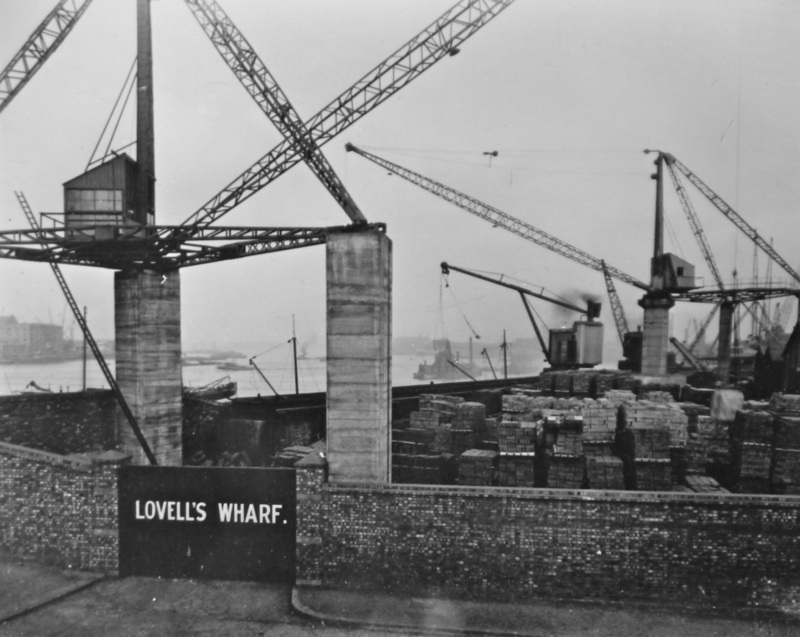 By 1982 Lovell's Wharf was handling 118,000 tons of cargo - steel, aluminium, galvanised sheeting and gas pipes, shifted by the two enormous Scotch derricks, which were a dominant feature of the site from the 1950s onward and much photographed and painted by local artists. 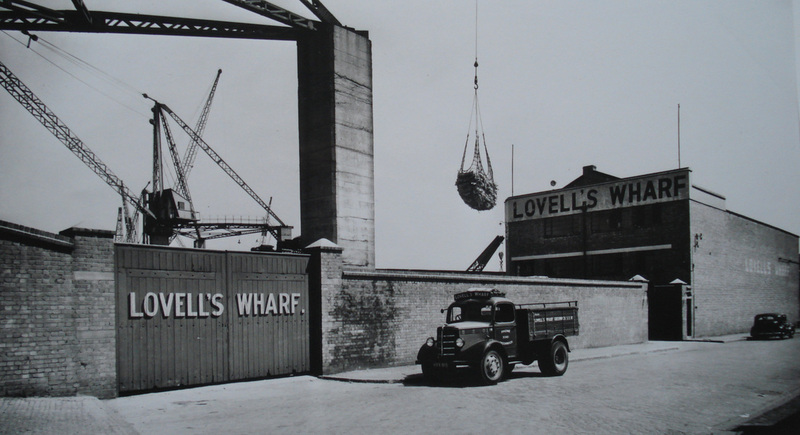 By the 1990s however, the rise of container cargo handling meant that trade had declined and the wharf fell derelict after Lovell surrendered the lease. 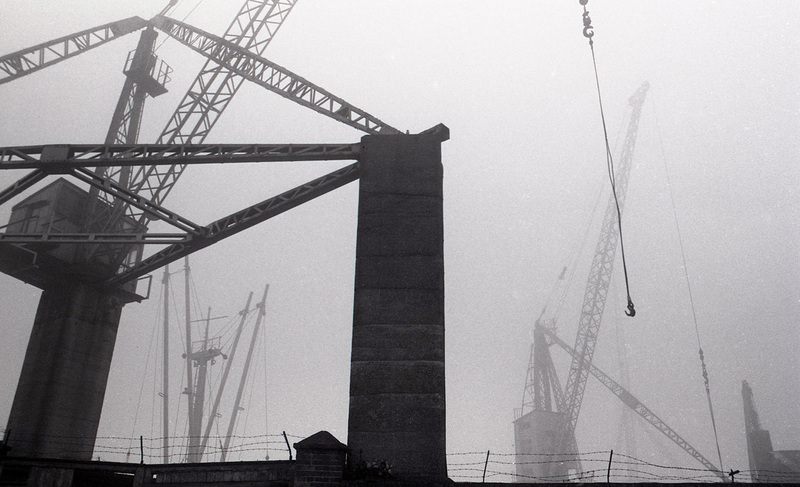 The cranes were dismantled in 2000, prior to the current redevelopment of the wharf for residential use. The wharf is now once again known as Greenwich Wharf and thus the circle back to William Coles Child's Greenwich Wharf is complete. The riverside footpath at Lovell’s Wharf looking towards Union Wharf, where the steam crane can be seen at work. 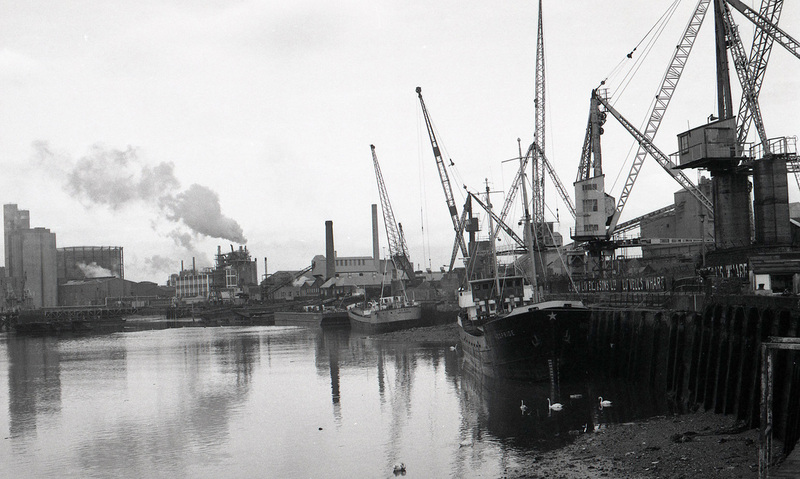 Robinson’s scrapyard at Anchor Iron Wharf, with its crane on rails, is visible in the background. 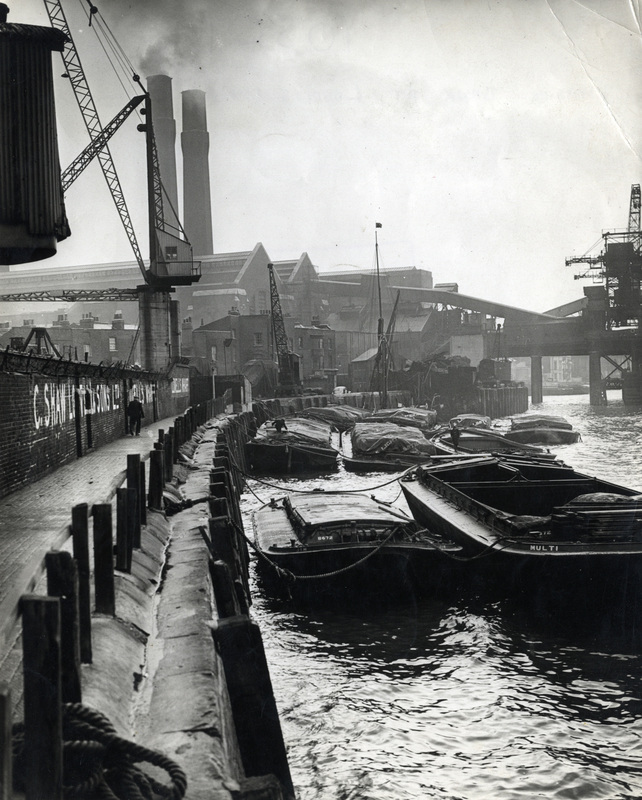 During their working lives these two wharves were the industrial poles of Ballast Quay, with Greenwich Power Station as the background. 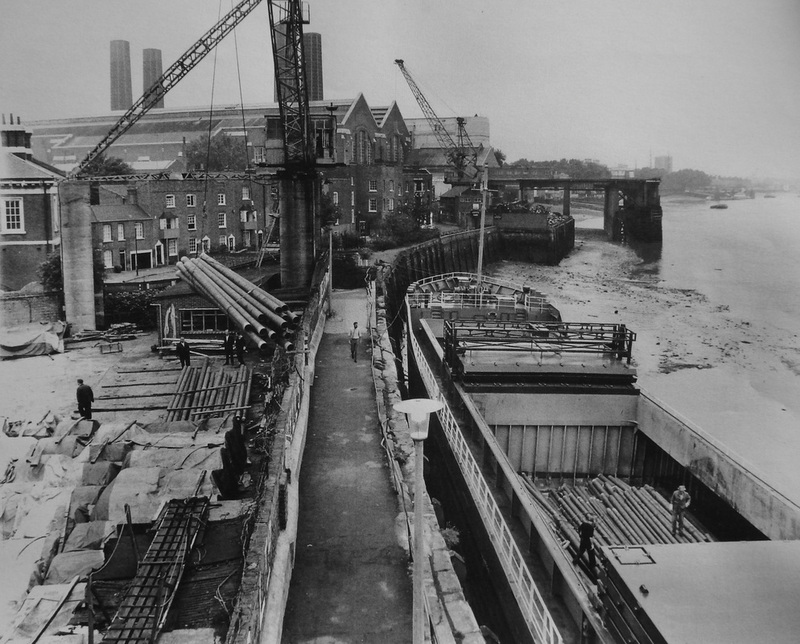 Barges moored at Union Wharf. 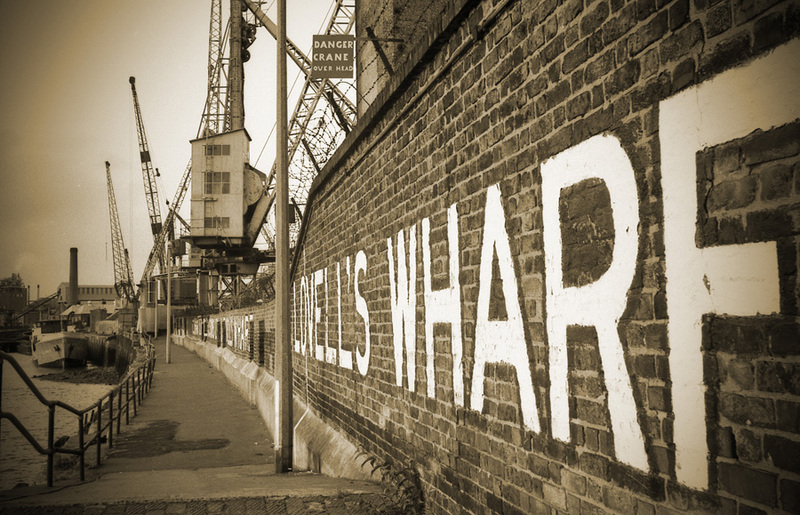 The 'shed', the former Steam Boat Pier office of 1846, now a feature of the garden at Ballast Quay, can be seen on the quayside in front of the cranes of Lovell’s Wharf. It was latterly used by Lovell as a bicycle store. 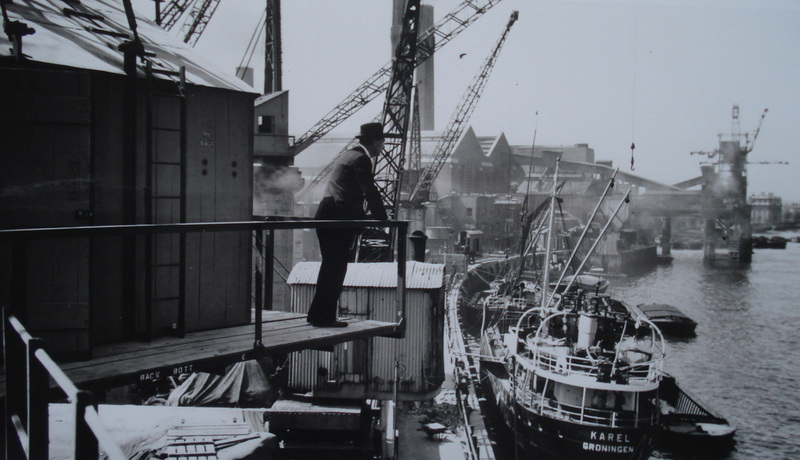 The slideshow of photographs below are all from the collection of Larry Bonds whose family lived at No.2 Ballast Quay opposite C.A.Robinson & Co.'s scrap metal yard. 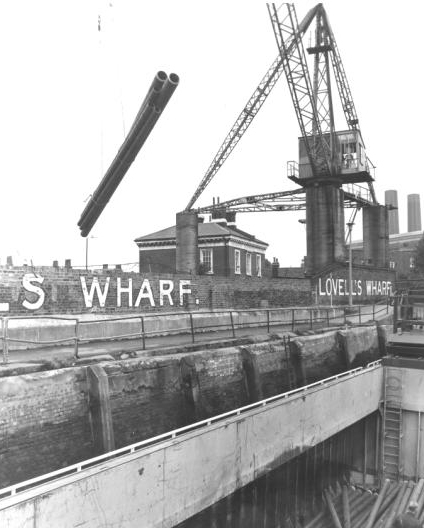 all tell the story of dereliction and vandalism after Lovell's Wharf was closed in the 1990s. 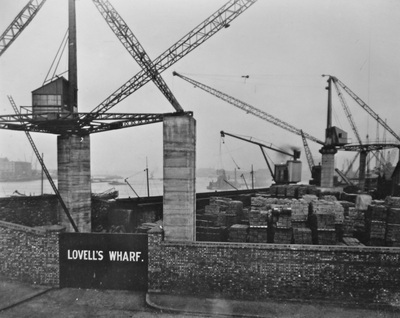 Roger Carter added the adjacent pictures and information about his father Bill, a self-employed sign writer who originally painted the gates to Lovell's Wharf. 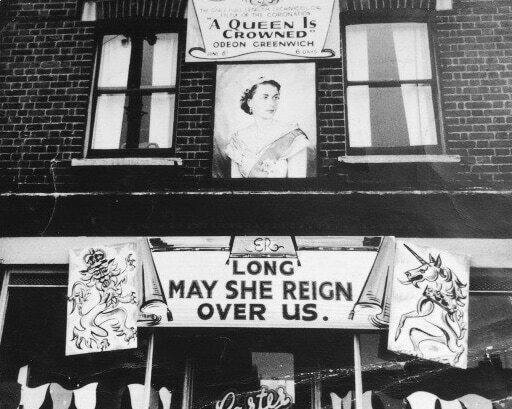 From the early 1950s until 1986 he worked out of a shop at 73 Lassell Street (now The Green Parrot Studio), with the family accommodated above. 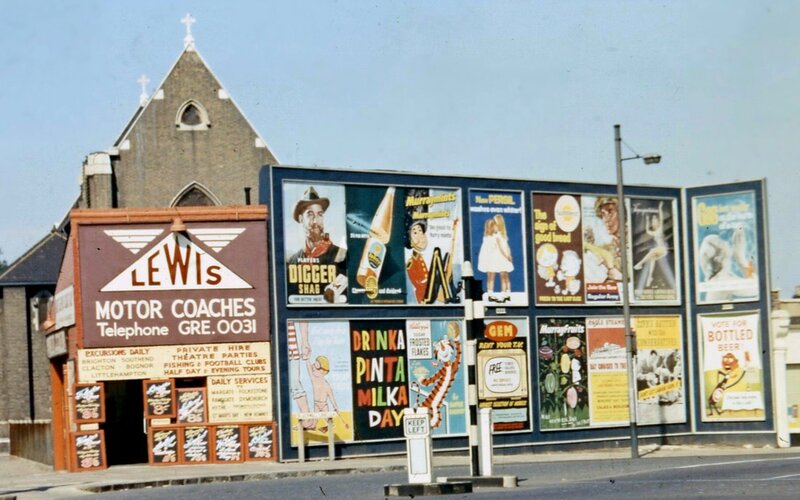 He was responsible for painting many signs around Greenwich including Robinson's Iron Yard, Lewis Coaches and even the Cutty Sark Tavern on Ballast Quay.